The Vaio Duo 11 was one of the most interesting laptops from 2012 and one of the few decent convertible ultrabooks of that time. 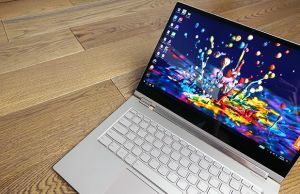 In the meantime, Sony launched the Vaio Duo 13, a revamped version of the Duo 11 that addresses most of its issues and adds features on top, for an overall awesome machine. It’s still a slider tough and it’s rather expensive, thus it might not be for anyone. But it’s worth at least a look, nonetheless. I’ll tell you more about the Duo 13 in the dedicated review. In the meantime, let’s see how it compares to last year’s Duo 11 and how exactly did Sony improve the things that went wrong with the first Duo. Having the two side by side, you’ll notice that the Duo 13 is only marginally thicker and larger than the 11 inch version, despite packing a bigger screen. At the same time, the 13 is less than a tenth of a pound heavier than last year’s version, so in practice, you’ll hardly be able to tell which has a smaller footprint or is lighter, even when having them side by side. The new version was however significantly redesigned. You can see from the video that it gets thinner towards the front, while the Duo 11 had a more even shape. 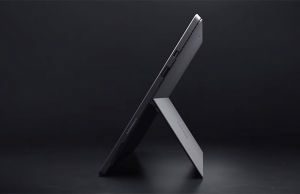 Besides that, it no longer has cut-off sides and that does make the new model somewhat uncomfortable to grab and hold in tablet mode, because of those sharp edges. At the same time, all the ports were moved on the back of the device, while they were lined around the left and right edges on the 11. The new version only packs 2 USB ports, a full-size HDMI connector and a card-reader, while the older one also offered VGA output and an Ethernet Slot. My Vaio 13 came however with an HDMI to VGA extension cable in the pack, and on top of that, there’s this Wireless Dongle that integrates with the power brick and allows you to stick an Ethernet cable in and get your very own secure WiFi. So there’s really no difference between these machines in terms of ports and connectivity options, unless you want to have two monitors connected to these, something you can’t on the newer Duo, but you could on the older 11. There are also two more additions on the 13. These devices both come with pens, and on the older 11, there was no place to store that pen. The new model comes with a clip on the right edge that holds the pen when traveling, and also a retractable ring that can hold it when having the device in laptop mode. On top of that, the system detects when you’re taking the pen out of its holders and can automatically launch an app that you might want. Neat trick. Oh, and the pen was slightly redesigned on the Duo 13. Of course, having pens means that the Duos come with touchscreens and digitizers, so you can use the these machines to draw, make sketches, take notes, etc. More about that in my detailed reviews. There’s a 13.3 inch display on the new Duo, and an 11.6 inch one on the older machine, as their names suggest. Both come with Full HD IPS panels that offer good colors and contrast, but the Duo 13 embeds Sony’s Triluminos technology, meant to make those colors pop even more. The Duos are both sliders, and that allows you to use them in tablet mode, or lift the screen and get them in laptop mode. On the older 11, the entire sliding mechanism was stiff and lifting the screen took effort and could easily result in broken fingernails. Besides that, the wires connecting the screen and the lower body were loose and exposed to potential damage. Sony learned from their mistakes and the 13 is much easier to operate. You can comfortably lift the screen with only one hand and they also addressed that cable issue, having them somewhat integrated with the slider’s leg. Speaking of that, this one is much more compact, but the entire laptop still feels very sturdy. The new sliding mechanism also pushes the screen more towards the back of the machine, without having any negative impact on its balance. And that allowed more space for the keyboard on the Duo 13. Thus, the keys are larger and this aspect, combined with the improved feedback, makes the keyboard on the Duo 13 far better than the one on the 11. Besides that, some of you who bought last year’s model complained about the keys sometimes not registering presses unless hitting them in the middle. You’ll be glad to know that this was addressed as well on the 13, as you can see here. The new interior layout also left room for a clickpad on the new Duo. It’s tiny, but it actually works well. On my unit is was fairly accurate, handled taps easily and even gestures like two finger scrolling and zooming. Last year’s model came with an overly sensitive trackpoint and some dedicated buttons, but I find the new solution somewhat more complete. Those are the obvious differences between the two lines, but there are some more subtle ones. Sony changed the camera placement on the Duo 13 and now has it on the bottom, towards the right, which means that you will cover it with your fingers most of the time. The rear camera on the 13 has an 8 Mpx sensor though, so it offers far better performances than the one of the older version. The front shooters are pretty much the same. Also, the speakers have been slightly redesigned, although they are still placed on the bottom, towards the front edge. On top of that, you won’t find any status LEDs on the Duo 13 like you did on the 11, but I doubt anyone is going to care about that. Those being said, let’s focus on what’s inside these machines. The Duo 13 is built on top Intel’s latest Haswell hardware platform, while the Duo 11 bundles last year’s Intel Ivy bridge platform. Both can take up to 8 GB of memory and 512 GB SSDs. That however won’t make the new model noticeably faster. In fact, you’ll hardly see any differences between the two with everyday tasks or when it comes to multimedia. The Core i7 versions of the Duo 13 however should offer quite a boost in graphics performances, since they offer Iris chips, and you will notice those in games or when editing movies. Except for that though, the two are close. However, the new platform is far more efficient than the older one. Besides that, there is a larger battery now on the new model, so while the Vaio Duo 11 could offer around 4 hours of everyday use, the Duo 13 can easily last for around 7 to 8 in similar conditions. All in all, Sony did their lessons with the Duo 13. They improved many, if not all the issues of their last year model, without actually screwing up anything important in return. And that makes the 13 an excellent convertible ultrabook, that if you can live with the slider form factor of course and its shortcomings. So right know, the Duo 13 is clearly the obvious choice over the Duo 11. However, the new model is more expensive, starting at $1400, while the 11 starts at $1200, and the gap gets wider if you add extra options. Even so, that’s hardly a reason to get the Duo 11, with all its known issues, but hopefully we’ll see an upgraded version later this year. A 3 pound machine is after all rather heavy, now that we’ve seen laptops getting closer and closer to the 2 pound limit, like that Sony Vaio Pro 11. Alright, that’s about it for now. Let me know in the comments below if you have any other questions about these two Vaio Duos. 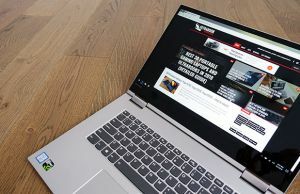 I’ll be around to reply and… if you’re after a convertible ultrabook, you should check out this other post of mine, also on this site. If I’m not that much into gaming or graphic editing, I just use it for social networking and presentation..etc, do you think I need to go for 13 or the 11 will just do the job? And do you recommend the Sony or I may go for another brand?